Happy Saturday everyone! 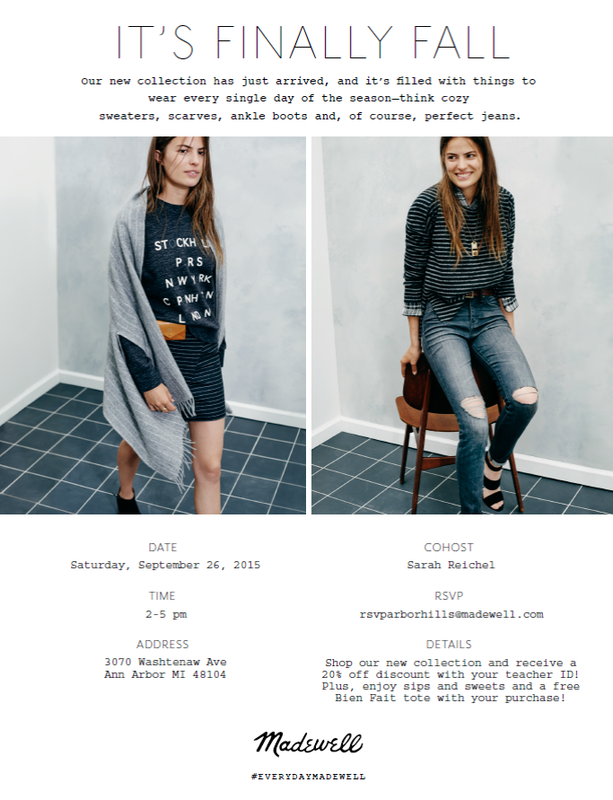 I'm excited to announce I will be co-hosting an event at the Madewell store in Ann Arbor next Saturday, September 26th. I will be there from 2:00-5:00. Come shop their new fall collection and enjoy sips & sweets while you shop! All teachers will receive 20% off their purchase with their teacher ID! If you would like to attend RSVP to the above address. I would love to see you there! With fall just a few days away, this is a perfect time to stock up on fall staples. Hope to see you there!